I know I am not alone in my dilemma with the side of my fridge looking like a tornado just hit it. Honestly, it looks as if a tiny tornado touched down in multiple spots throughout my house on a daily basis. Most of those storms are caused by two young girls who love to play pretend and pile every little toy and object they can find into their bags, baskets, backpacks, and purses. But some of those messes in our home I am to blame for as well, and the side of the fridge was one of them. I’ve found that without an organizational system, this area becomes a nightmare, very quickly. “Important” papers get stuck up to it, and remain untouched for weeks, months, and sometimes even years. The girls post their artwork or activities from church or school up there, and then the stacks of papers keep growing so much so that you can’t see anything that was intended to be displayed. 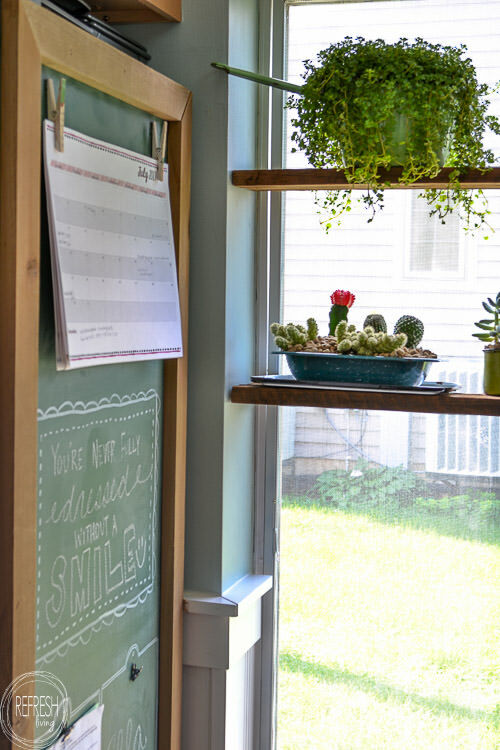 I put a calendar up, but had yet to write anything on it. 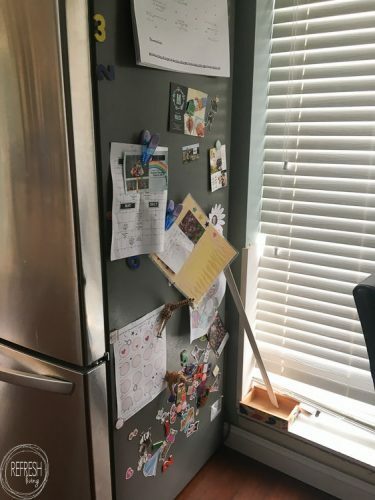 Clearly, it was a mess, and I was not helping my girls to understand the importance of organization if our “important stuff” was being thrown on the side of our fridge without any rhyme or reason. I do like the side of our fridge because it’s the only magnetic surface in the kitchen. And while it’s functional, it’s definitely not all that pretty to look at. 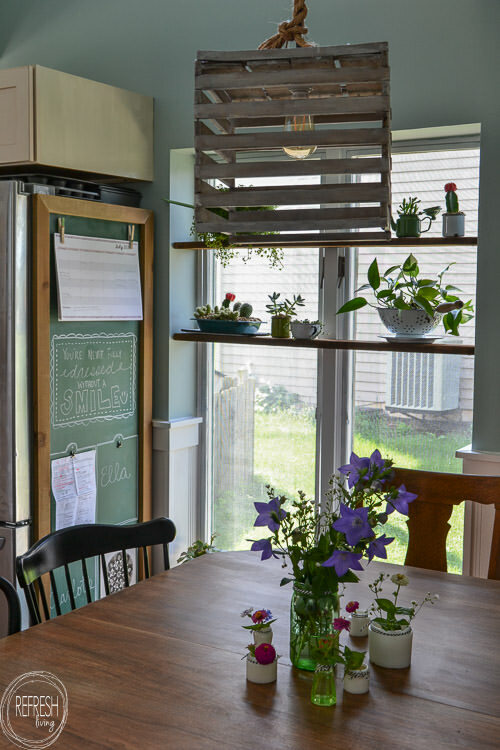 I had the idea to create a large scale command center that framed the side of our fridge, taking the fact that it had a magnetic surface and using it to my advantage. 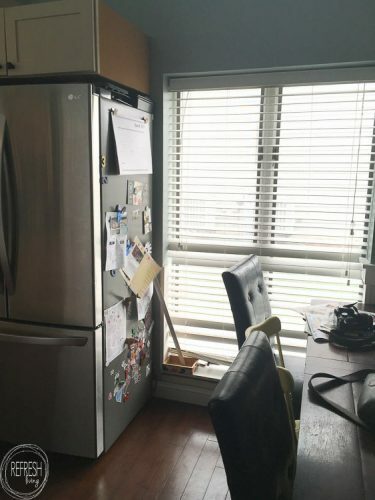 However, I didn’t love the dull gray color and I thought it looked too much like, well, the side of a fridge. I decided to paint it with chalkboard paint. 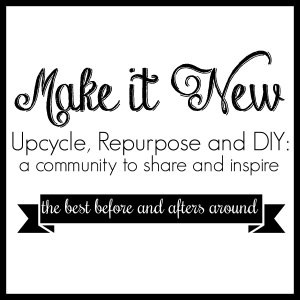 I love this stuff, and have used it on quite a few projects already. 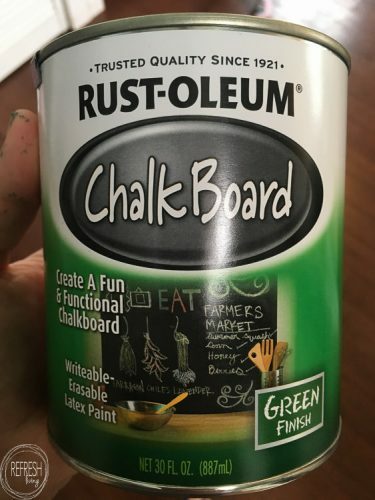 Rustoleum chalkboard paint is my favorite, and it comes in both black and green. Here are a few of the other projects I’ve used this paint on. I gave the side of the fridge three coats of paint, and lightly sanded with 200 grit sandpaper in between. 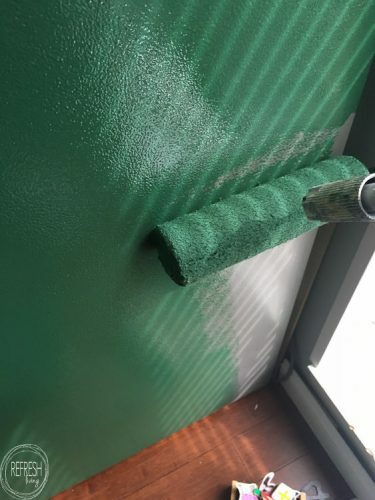 Three coats would be the minimum for the side of a fridge, since the surface is fairly slick. 4-5 might actually be a better plan, but 3 definitely will work. 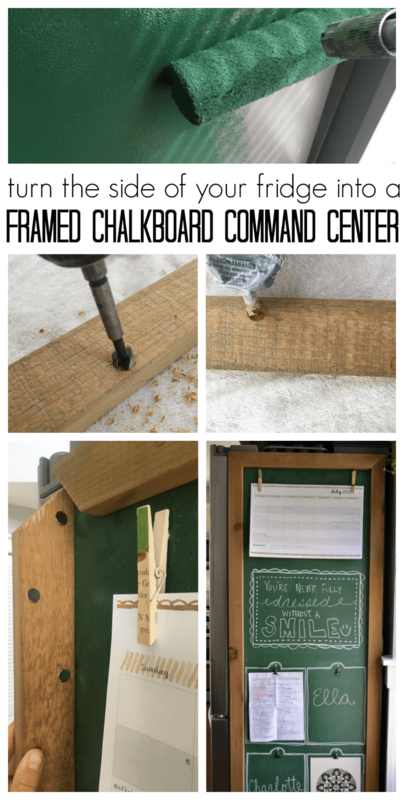 I got a little stuck on how I was going to frame it out, because I wanted to use reclaimed wood, and you obviously can’t nail or screw into the fridge, and I really didn’t want to glue it and create a permanent fixture (although I really think you could use this glue and it would work). I finally figured out a solution, and it worked even better than I had ever imagined: magnets!! First, I cut down some reclaimed cedar wood at 45 degree angles with my miter saw. I originally intended to rip down some old reclaimed wood I had in my stash, but then I stumbled upon four cedar planks, already ripped to the perfect width, in the basement of an estate sale, literally the weekend before I planned to work on this project. I LOVE it when this happens. 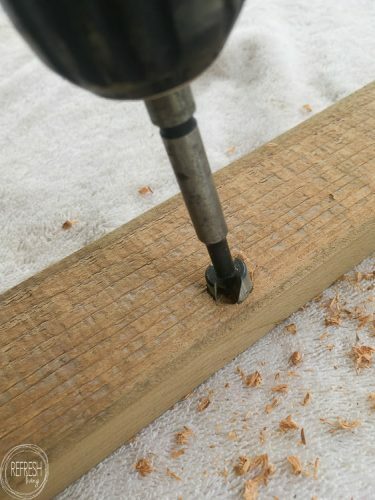 Once the wood pieces were cut, I used a 1/2″ forstner drill bit to drill holes the same depth as the magnets I was using. I should pause and explain the types of magnets I used for this project, because it’s actually really important. These magnets are called neodymium magnets, and they are super strong. I’ve never found any other magnets to compare to these babies. 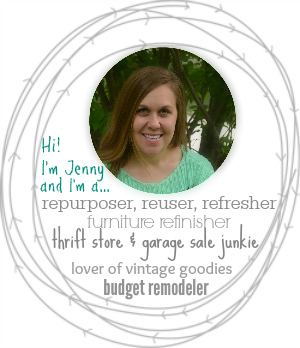 I actually used them to create my vintage ruler knife rack as well, because they were the only ones strong enough. 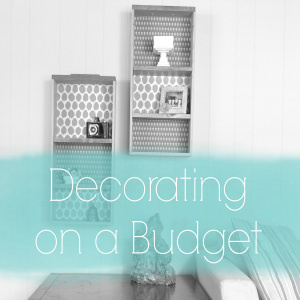 I think I’ve seen small amounts sold at some home improvement stores, but the best price I’ve found them for is on Etsy. You can buy them in large quantities at a much better price. 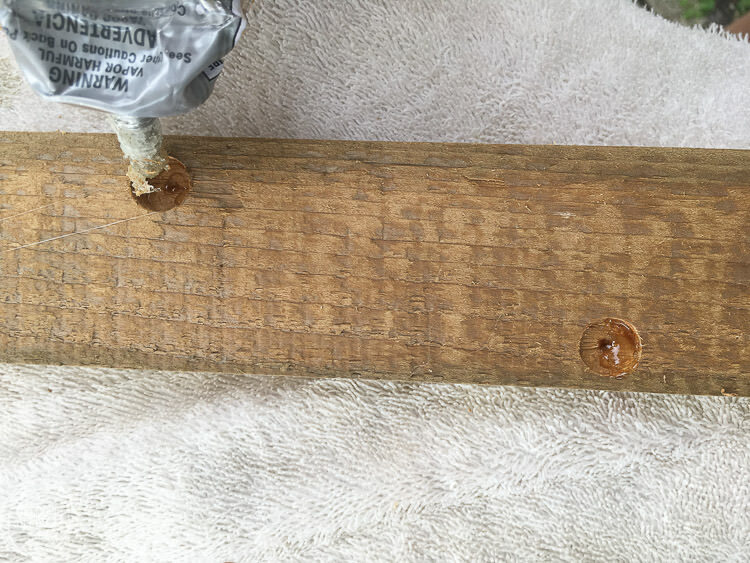 After drilling the holes every couple of inches on the board, I used E6000 glue to place the magnets inside the holes. They aren’t going anywhere, even though the magnets are powerful and want to stick to a magnetic surface, this glue is strong enough to fight that “attraction”. These magnets are so strong that once the pieces of wood are placed on the fridge, they are actually a bit difficult to move. It’s nice, because even if the kids bump them, they stay in place, but they can still be removed later on if needed. 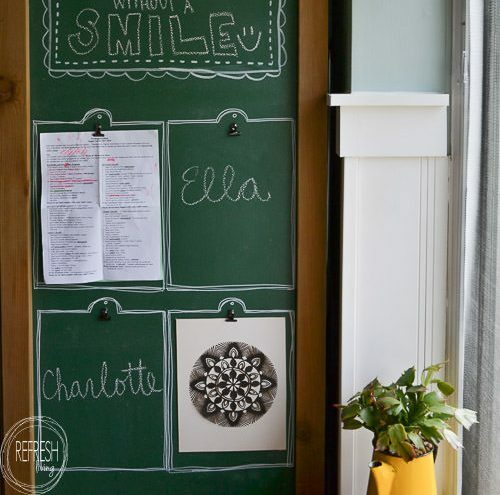 I used a chalkboard marker to paint the clipboard shapes and the frame of the chalkboard area. I like to use chalkboard markers on areas I don’t plan to erase, because it doesn’t really rub off unless you wet the surface. 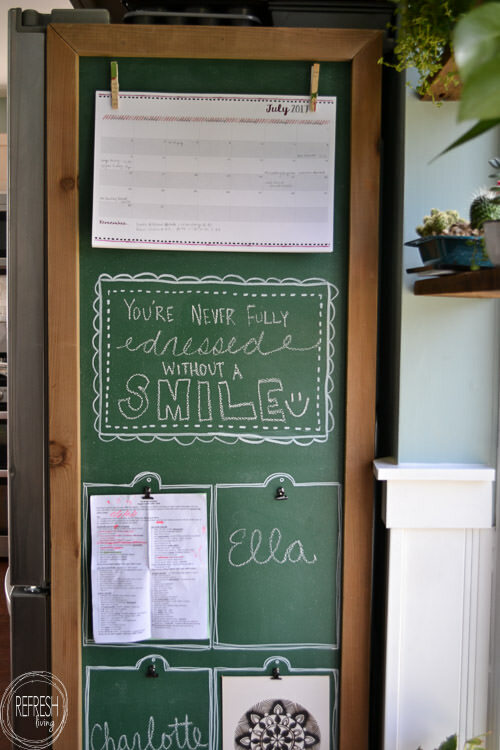 So it’s a semi-permanent option for writing on chalkboards. 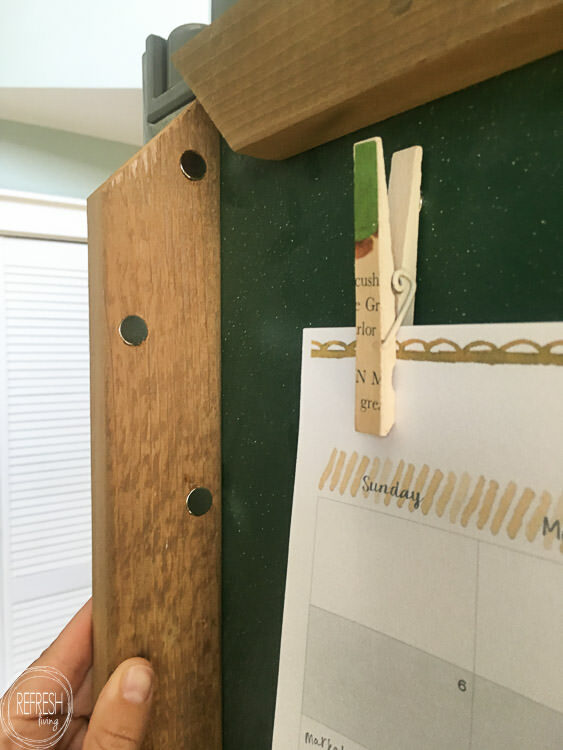 I printed a calendar and glued two magnets to the back of clothespins to hold it in place. Each of the girls have their own clipboard. I just added a magnet to the back of little office clips. I plan to add any school papers that need to be signed or returned, and they can each pick one piece of artwork to display on the front of their papers. Thanks Maryjo! Have fun creating your command center too.